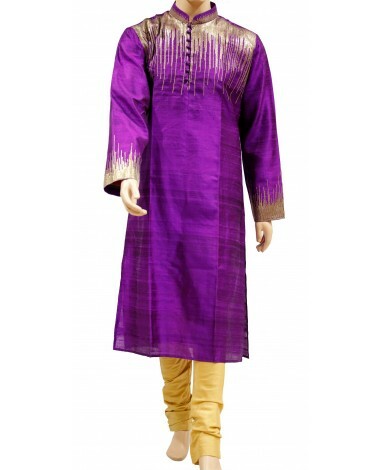 lamorize and envy others with this purple sequined kurta. 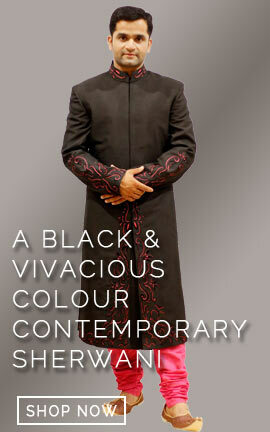 Mind blowing work on cuffs, top part and fancy buttons on placket is complementing the attire really well. 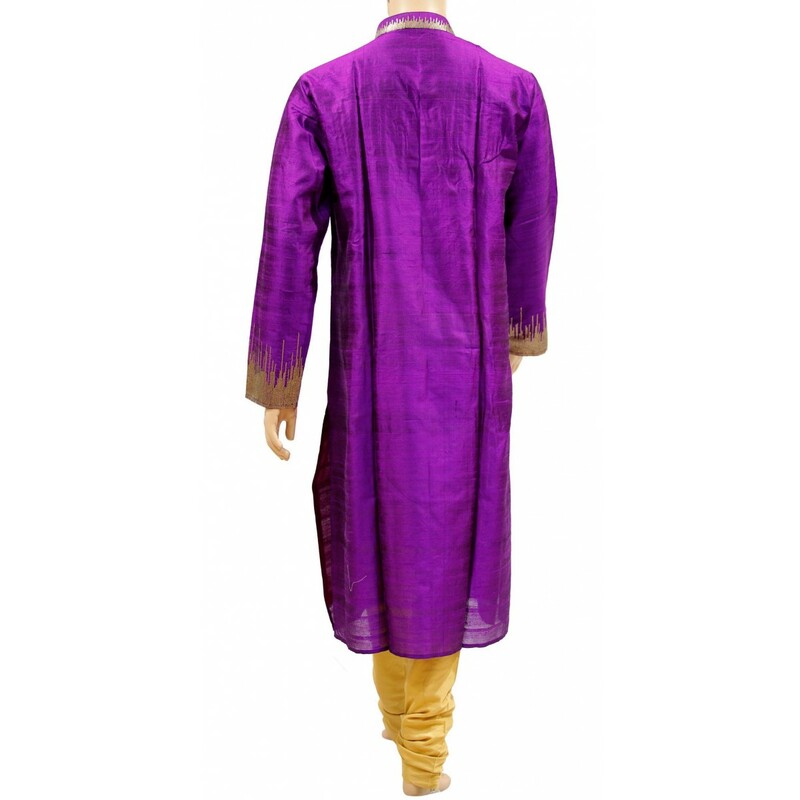 It is paired with a yellow color bottom. 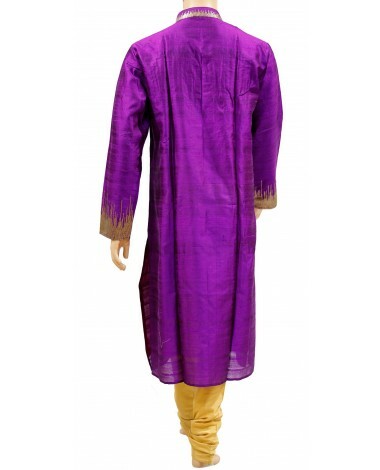 Glamorize and envy others with this purple sequined kurta. 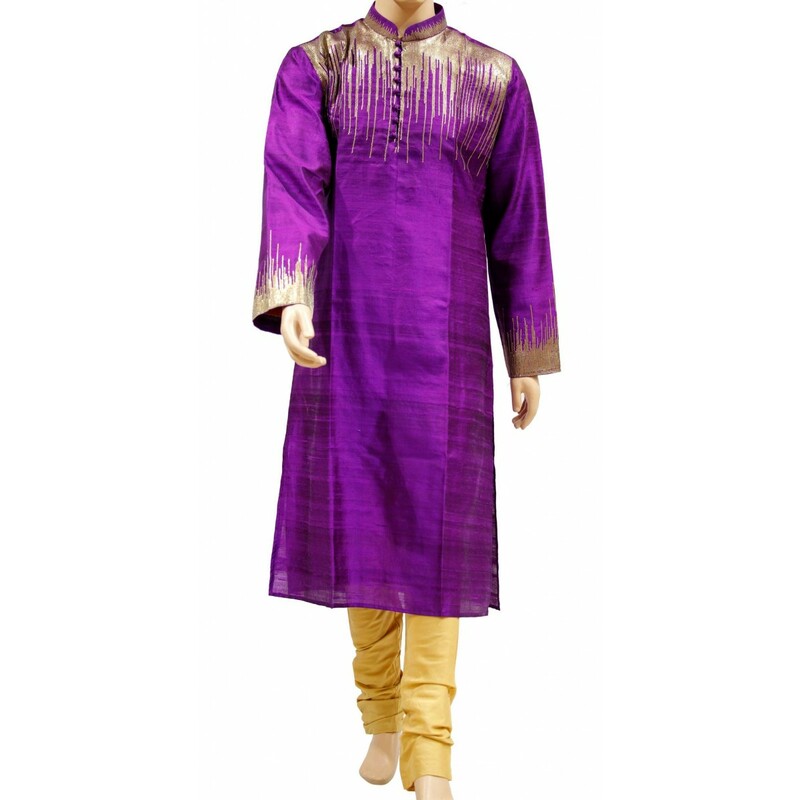 Mind blowing work on cuffs, top part and fancy buttons on placket is complementing the attire really well. It is paired with a yellow color bottom. Create your own fashion trends thats bound to be sensational.